Perfect for those busy mornings where you can just put it in the oven with not preparation. 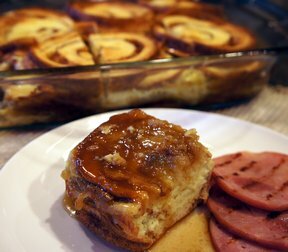 This is perfect to impress overnight guests as the custard-like bread with the sweet syrup is absolutely delicious. Great recipe for a crowd. This recipe also freezes well. 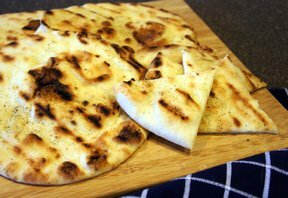 With or without the cheese this garlic bread will be a hit. There's just something about those grilled and seasoned little triangles that make you want more until they are all gone. A simple casserole that everyone will enjoy. 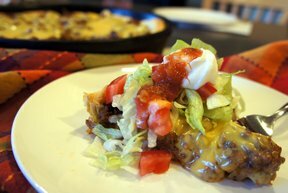 Warm and full of Mexican flavor and topped off with cool lettuce, tomato and sour cream. Or whatever other toppings your family enjoys. 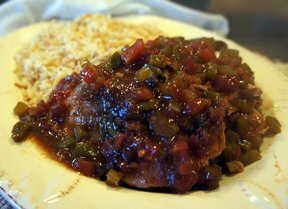 Slow cooked pork chops that are so tender they just fall apart. 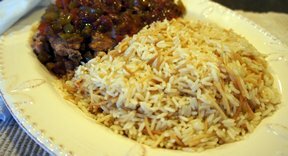 The sauce is full of flavor and perfect served over rice and served with crusty bread to mop up all that great sauce! A side dish that goes well with anything. 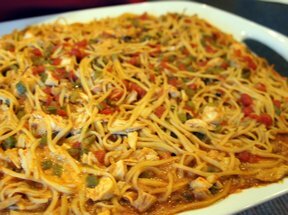 Chicken broth adds a great flavor to rice along with browning the pasta noodles in butter. 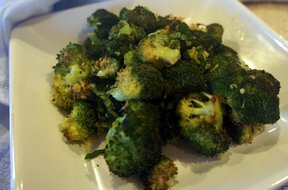 Broccoli roasted with garlic is a favorite among young and old. The best part is you put it in the oven and forget about it until 20 minutes later. The basil and lemon add a fresh flavor to the warm broccoli. 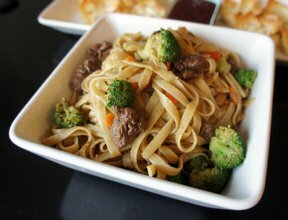 An Asian inspired pasta dish filled with protein and vegetables. 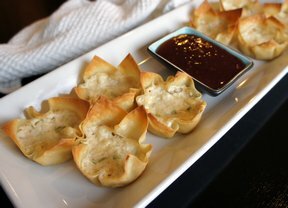 Serve it with egg rolls. Who needs Chinese takeout when you can make this so easily in the comforts of your own home? Here's to a healthier version of the Chinese takeout version! Serve it with sweet and sour sauce and you'll delight in every bite.